Playground Games and Microsoft Studios have announced that Forza Horizon 4 has gone gold. This means that development on the launch version of the game has been completed and the game is ready to be played less than 3 weeks before the game’s official release. Aside from announcing that the game has gone gold, Microsoft has also released a playable demo for the game. The demo is out right now and can be downloaded and played on both PC and Xbox One. The demo will feature about 10 of the 450 cars available in the full game. Players will also be able to tour the in-game recreation of Britain and get to sample some of the open world activities and the game’s 4 seasons. Players can also jumpstart their in-game career by either streaming their gameplay on Mixer or by tuning in to someone who is doing just that. 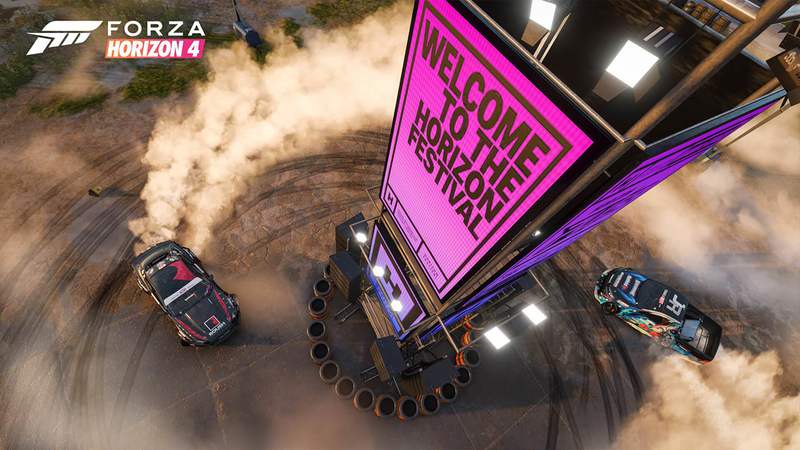 Both activities will earn players Influence points for Horizon Life that carry over to the full game. Several of these cars will feature gadgets seen in the films that can be used in the game’s Forzavista mode. The Best of Bond Car Pack will be available at launch and will be included in the Ultimate Edition of the game. Those who purchase the Standard Edition can purchase the DLC separately. Forza Horizon 4 launches on October 2nd on PC and Xbox One. Those who pre-order the Ultimate Edition can start playing up to 4 days earlier starting on September 28. Forza Horizon 4 will be adding new open-world activities, one of which resembles mechanics from Sega’s arcade hit, Crazy Taxi.